DJ Don’t Judge a Book 5.7 Eaton, ’94. JB June Bride 12a Suzuki, ’85. G points towards the Guardian. 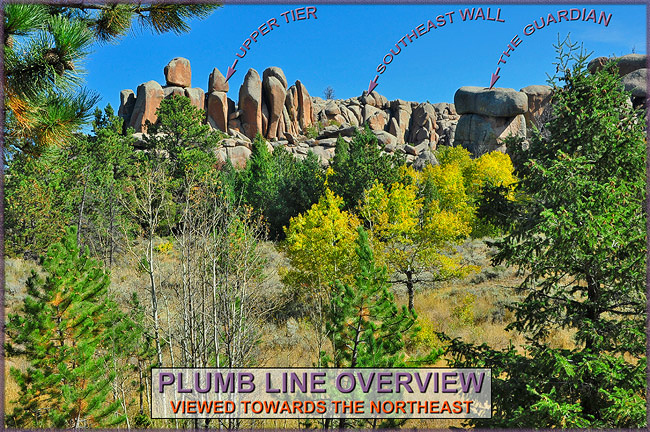 Another shot of The Plum Line Area showing a little more detail. 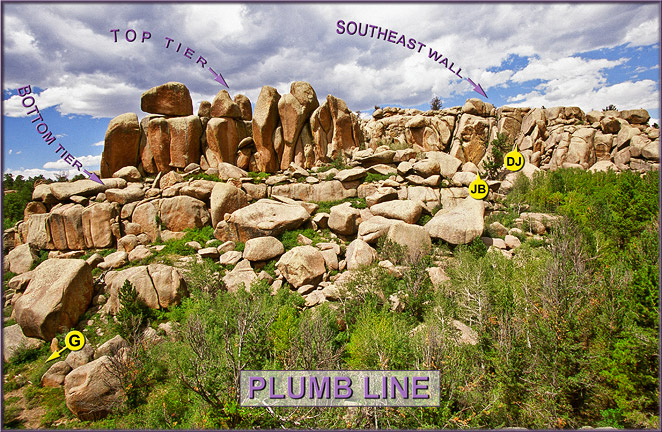 Approaching from the SW, the ‘upper tier’ of ‘Plumb Line’ Crag is seen (5 routes), as well as the Southeast Wall (2 routes) and the blocky outcrop called the ‘Guardian’ (two routes), shown in detail immediately below. Here is the MAIN CRAG. Amaranth 5.7 Westmost crack starting about 10′ from ground level. Hand to wide at the top. Barley 5.6 Next crack right of #1, a squirmfest to an OW ending. Corn 5.5 A few feet right of #2, find an interesting crack line in a left facing dihedral corner. 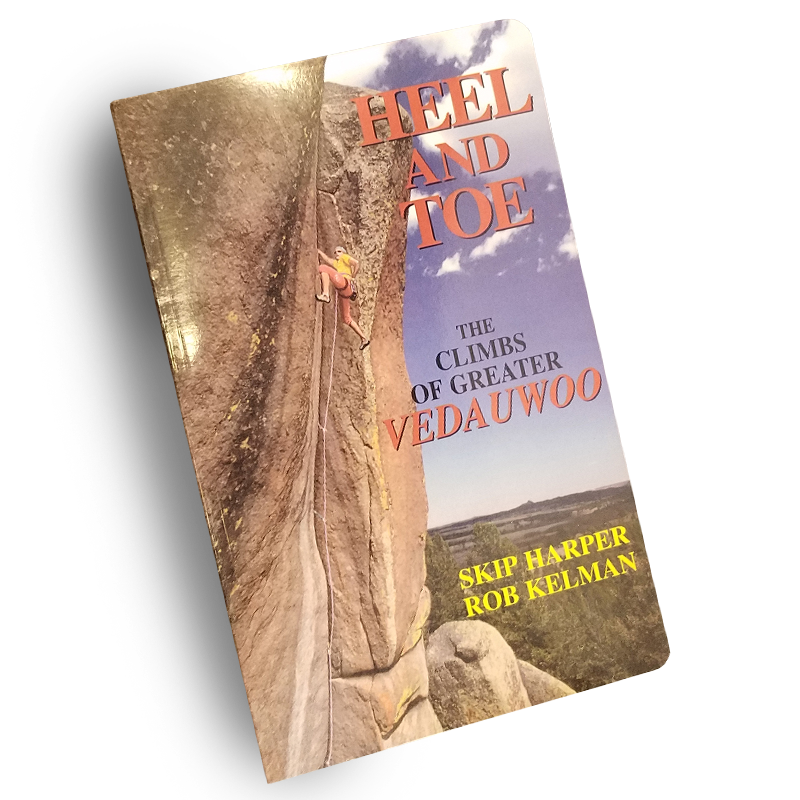 You can also climb the crack that parallels Corn on its right side, sometimes called Kashi (7+). 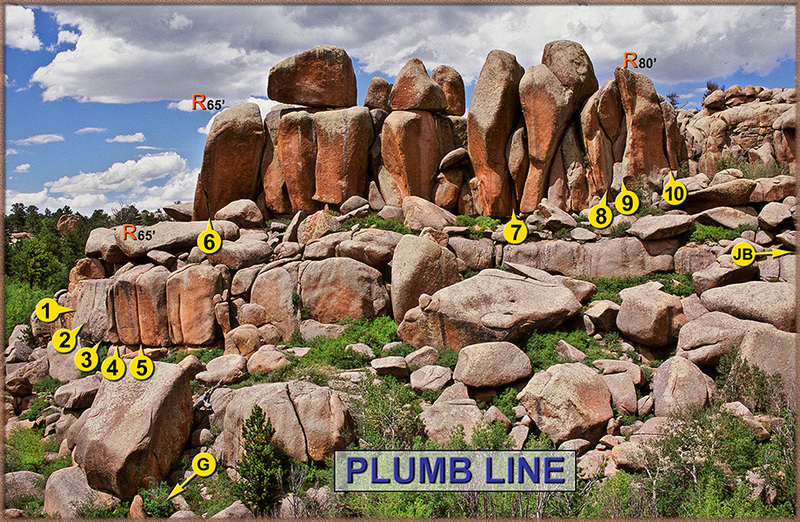 Plumb Line 9 A beautiful splitter hand crack reminiscent of ‘Indian Creek’. The area’s namesake climb and one well worth the effort to get here. 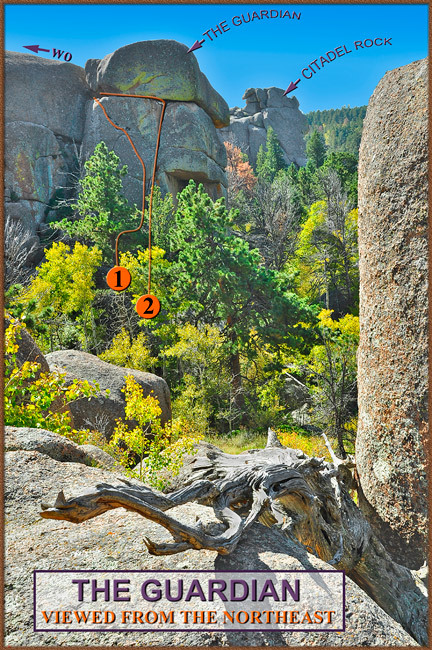 DESCENT: Rap bolts are found on the large, rather flat boulder sitting above #’s 4 and 5. JB points towards the ‘June Bride’ area. G points towards the ‘Guardian’.